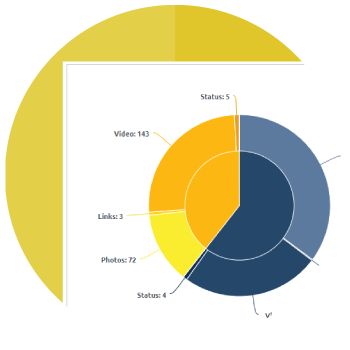 Generate a Facebook Competitive Analysis Report and get to know just about everything your Competitors' are doing on Facebook. Generate insightful comparison reports showing what each of your competitors is doing right and wrong on Facebook. 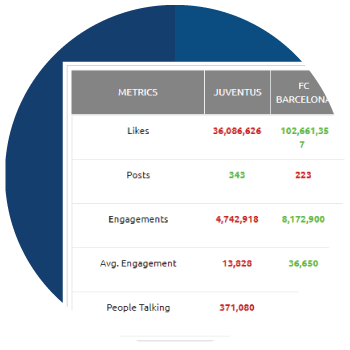 Generate a detailed Facebook Competitive Analysis Report and compare the total number of fans, posts and engagements of up to 5 pages. 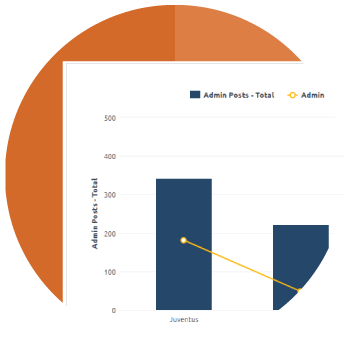 Our subscription with pay-as-you-go pricing model makes generating reports cheap and affordable, with a 5 Facebook Page comparision report costing less than a dollar. for your Facebook Page comparisons. 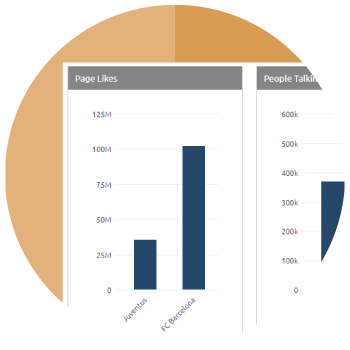 Our Facebook Page Comparison tool will generate beautiful reports comprising of graphical and tabular views. You can download these Facebook comparison reports as a PDF and even whitelabel them with your logo. to identify the leaders and laggards. 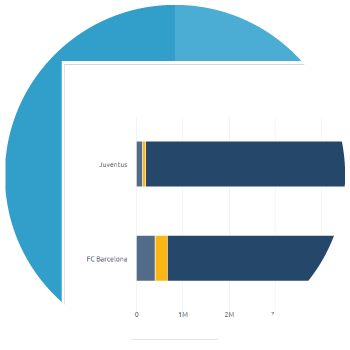 Our competitive comparison tool makes it easy to identify who's leading on all fronts and who's falling far behind. Use these insights for research purposes or to evaluate what the leaders are doing right that you can emulate on your Facebook page. of your Competitors’ post diversity. Curious to know what’s happening on your Competitors’ Fan pages? Check out the post types by taking a quick look at the number of photos, videos and links your Competitors' are sharing. posting frequency is keeping pace. Wish to do some number crunching? 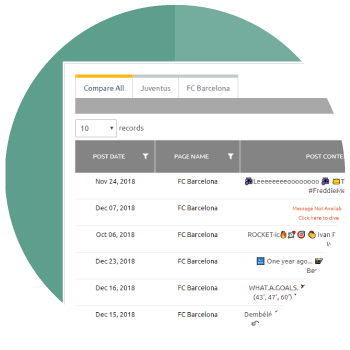 Use the Facebook Page Comparison tool to review and compare your Competitors’ average daily posts and total number of posts for a chosen period. Which posts are working best? Are they status updates, photos or videos? Do a post-by-post analysis to know what’s being liked more and shared freely. Use this insight to formulate or fine-tune your content posting strategy.